Nays2DH is a computational model for simulating unsteady horizontal two-dimensional (2D) flow, sediment transport, and morphological changes of bed and banks in rivers. Nays2DH was constructed by combining Nays2D and Morpho2D to provide a more powerful and user-friendly tool for iRIC users. 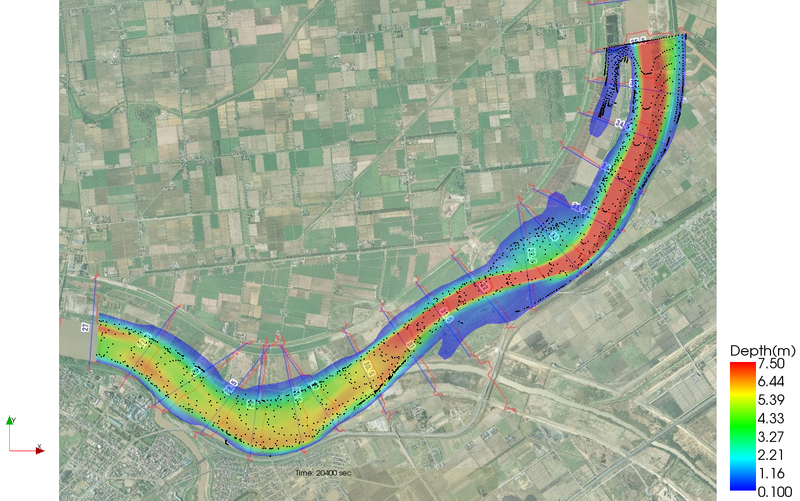 Users can calculate 2D river flow and bed morphodynamics including a wide variety of new extensions, including a river confluence model, bank erosion model, bedload-suspended load simulations in mixed size sediment, bedload layer model and fixed bed model, and variable sediment supply rate from upstream. The seepage flow model used in Morpho2D is not implemented at present, but this will be added in the near future. Nays2D is developed by Dr. Yasuyuki Shimizu in Hokkaido University in Japan. Nays2D is a plane 2D solver for calculating flow, sediment transport, bed evolution and bank erosion in rivers. By joining many developers to Nays2D project, several functions, for instance, river confluence model, mixture grain size model and Hot start function, have been added. Nays2D is attached to iRIC and RIC-Nays which is a predecessor project of iRIC. Nays2D includes several options for simulating river flows such as an unsteady vortex generation in open channel flows and river morphodynamics. River morphodynamics includes the initiation and development of free bars in rivers and the interaction between free bars and forced bars in meandering channels. 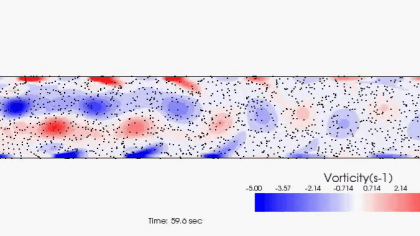 In addition, Nays2D has been applied to several practical applications: bed evolution process in rivers affected by trees and vegetation, calculation and prediction of inundation on floodplains, sedimentation in river confluences, analysis of bank erosion and flood disasters. Morpho2D developed by Dr. Hiroshi Takebayashi is a solver to simulate the two-dimensional morphodynamical changes in rivers. Initially, it was attached in the RIC-Nays as ‘Mixture grain size model’. Since iRIC released version 1, this solver has been reformed as Morpho2D. 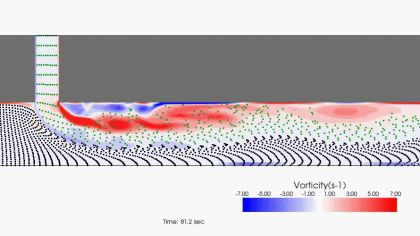 Morpho2D includes several possibilities for simulating the morphological changes of river bed with uniform and mixture sediment, and simulating the development of free bars with sorting of sediment particles on the river bed. 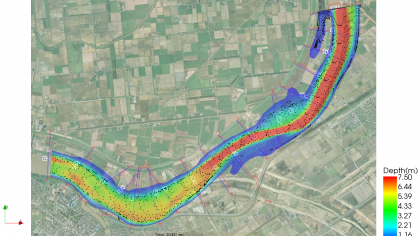 Morpho2D has also been applied to several real world applications in river engineering, such as analysis the bed evolution under vegetation effects, sediment transport and bed evolution with the non-erosional bed (e.g. bedrocks and fixed beds). * You also be able to use a Nays2D example-manual for practicing of Nays2DH. In the Nays2D example-manual, number of examples are introduced more than that of Nays2DH. 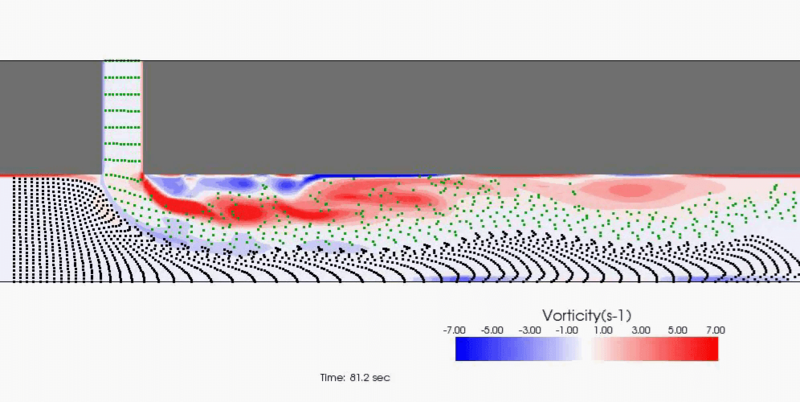 Jang, C. & Y. Shimizu : Numerical simulation of relatively wide, shallow channels with erodible banks,, Journal of Hydraulic Engineering, ASCE, Vol. 131, No.7, pp.565-575, 2005.